Please complete ALL fields marked * below to subscribe to receive (or continue to receive) A1 Retail Magazine. By completing this form you are confirming that 4 U MEDIA LTD T/A A1 MEDIA have full permission to store your data and use your data to send you communications. Your data will not be shared with any third party, but you may be sent communications from 4 U MEDIA LTD T/A A1 MEDIA on behalf of a third party. If at any time you wish to unsubscribe and withdraw permission, please email subscriptions@a1mediamagazines.com. All personal data/special category data are processed in accordance with UK data protection legislation. Further details are available on our Privacy Notice or from the Company. 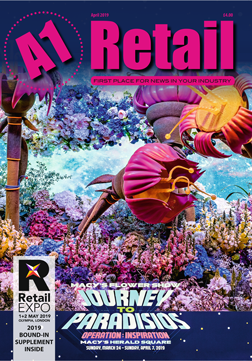 How do you wish to receive A1 Retail Magazine? Do you wish to receive (or continue to receive) e-communications from A1 Retail Magazine? Are you involved with the Retail industry? Are you involved with the Lighting industry? 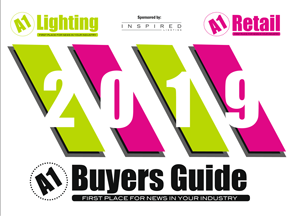 Would you also like to receive a free copy of A1 Lighting Magazine? If so, how would you like to receive this? Would you like to receive e-communications from A1 Lighting Magazine?